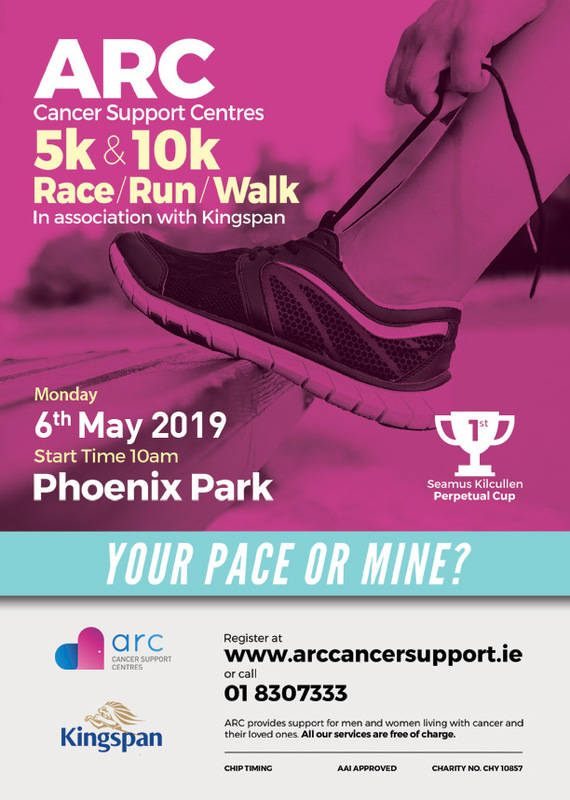 The 2019 ARC 5k & 10k fun run takes place at 10am on Bank Holiday Monday, May 6th 2019, proudly sponsored by Kingspan. Registration & number pick up for those pre registered takes place at Chesterfield Avenue on the FURZE ROAD and participants are advised to park at the Popes Cross car park. Prizes for 1st 3 males & females in each race. Late registrations on the morning from 8am (5k €20, 10k €25).